All premium WordPress themes are designed and developed to simplify one’s work. The themes on this list were carefully selected to fit that purpose as well as improve businesses overall aspect. They all come with dedicated support teams, free updates, impressive niche related features, and quality design elements. WordPress is a great platform to craft beautiful, professional, and user-friendly websites. By choosing WordPress alongside with one of these themes you will see a surge in visits and sales. Without further ado here are the best transportation and logistics WordPress themes of the year! PrimeTrans is highly customizable, flexible, fresh, up to date, and appealing WordPress theme. This theme is very resourceful and makes a great platform for developing modern and sophisticated websites. PrimeTrans comes with the popular page builder, Visual Composer, and several shortcodes you can use combined to create unique layouts that fit your company. Simplify your work by installing the demo content and then use the admin panel to personalize it. 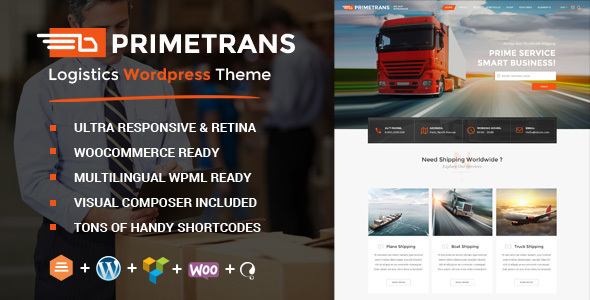 PrimeTrans is a great partner to have - possibly even one of the best transportation and logistics WordPress themes created! 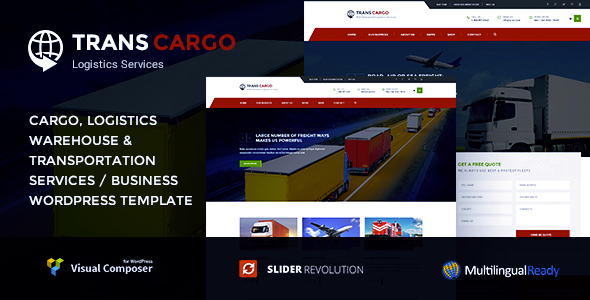 LogisCargo is a malleable, distinctive, pristine, clean, attractive, mesmerizing, responsive logistics and cargo WordPress theme. Being built for this specific niche, LogisCargo panders to the needs of logistics business owners. LogisCargo is a theme that not only meets your expectations, but also exceeds them. It come with an amazing option to try before you buy where you can test out the theme and see if it’s a good fit for your business. Additionally, LogisCargo has several designs, 4 header variations, CF7 compatible, smart theme options, various page layouts, and a well-documented code. Use LogisCargo! 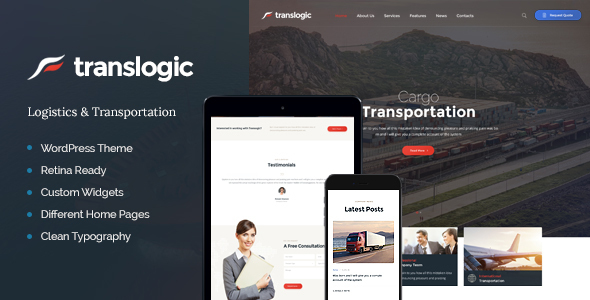 Transcargo is a pristine, modern, elegant, adaptable, and aesthetically pleasing WordPress theme for logistics. This theme can and will enhance a website’s design and functionality which will bring in more customers. Transcargo is very flexible and its user interface is extremely intuitive. It only takes you a few minutes to learn how to maximize its potential. 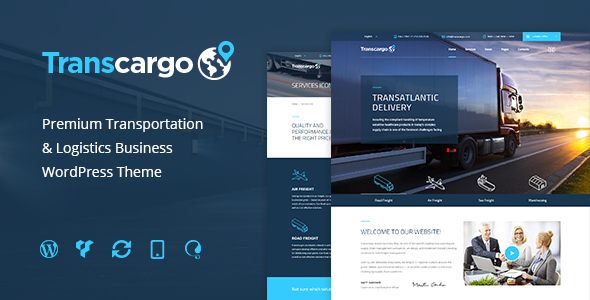 Transcargo comes with 4 header layouts, 2 service listing templates, multi-locations on Google maps, responsive layout, live customizer, a couple of premium plugins, optimized code, and translation support. 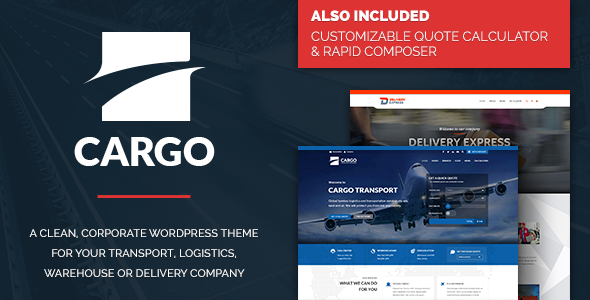 Transcargo stands out from other transportation and logistics WordPress themes so let it represent your company and do it justice! As a company, your website must reflect your quality and professionalism as much as your services. Logistic is the perfect theme to use for your logistics and transportation website because it has those qualities. Logistic is very easy to install, user-friendly, and has a bunch of features. It comes with no less than 8 already designed homepages, more than 40 page layouts, a powerful drag and drop page builder, live customizer, custom widgets, blog and gallery templates, parallax effect, forms, icons, parcel tracking feature, and MailChimp support. 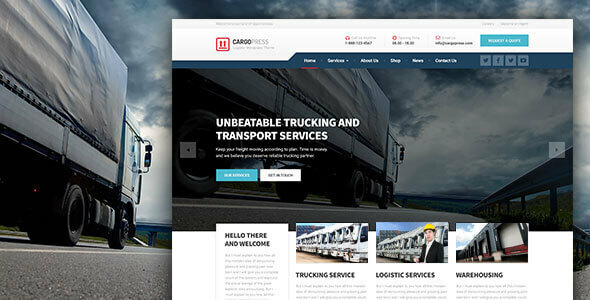 Global Logistics is an excellent WordPress transportation theme developed exclusively for logistics companies. This theme is ideal for this type of business and will improve it with its modern design and niche related features. 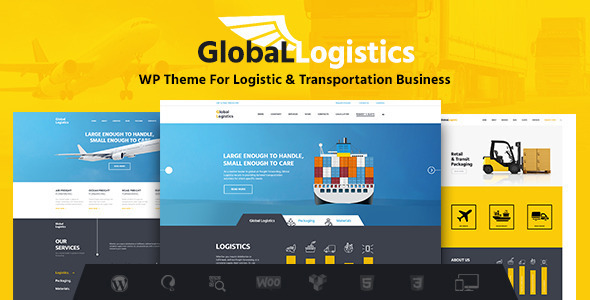 Global Logistics contains a large number of header styles, a few powerful premium plugins, responsive menu, translation options, ThemeREX framework theme admin panel, SEO ready code, several layouts features, and slider options. All of these features are extremely useful if you want to turn your website into a successful one. FastEx is a fresh, modern, easy to use, polished, classy, and highly customizable transportation WordPress theme. Without any coding experience you can craft elegant page layouts and personalize them. FastEx includes 3 homepage versions ready to be used, premium plugins, custom icons, quick quote form, parallax effect, one page option, unlimited skins and colors, endless design combinations, and RTL support. 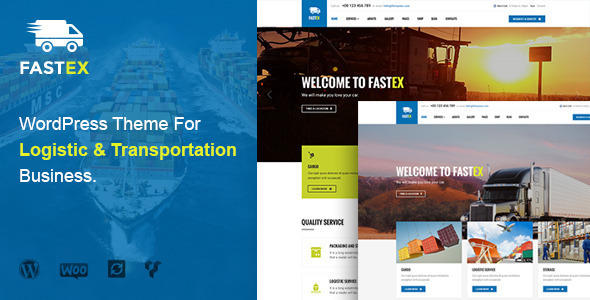 FastEx has everything you need to take your business to the next level and has earned its place as one of the best transportation and logistics WordPress themes! Logistic is a distinct, creative, crafty, professional, and innovative WordPress transportation theme. This theme can be used as an ideal platform for building websites for transportation related companies. Logistic comes bundled with 2 popular premium plugins: Visual composer drag and drop page builder and Slider Revolution, which saves you $50. It is also fully compatible with the latest version of WordPress and constantly updated and improved. To learn more about it click on the demo preview below. 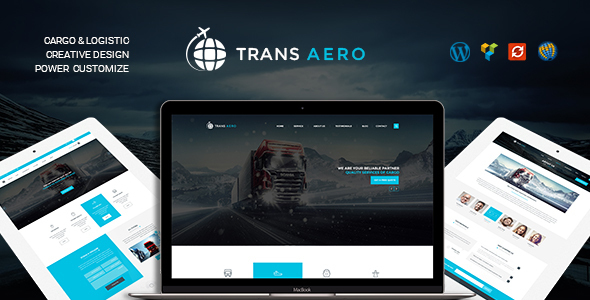 If you are searching for a transportation & logistics WordPress theme that is elegant, eye-catching, and attractive, then TransAero is the one for you. With TransAero your website will improve design and functionality wise and your number or views will grow. TransAero is there for you no matter what your vision is. Some of this theme’s features include unlimited color palette, 4 homepage styles, 2 service pages, tons of Google fonts, blog page template, and more. Without any additional fees, TransAero comes bundled with 2 powerful plugins: Slider Revolution and Visual Composer drag and drop page builder. Try TransAero! 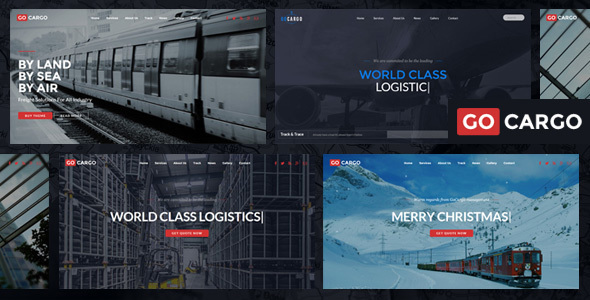 Cargo is among the top best transportation & logistics WordPress themes. The team of developers behind this theme gave their all for this theme and it turned out amazing. Cargo comes with some incredible features and an engaging design. Cargo is entirely responsive and no matter how you customize it, it will stay the same. This theme incorporates more than 25 header and portfolio layouts, 823 icons, 50+ page elements, 600 Google fonts, 2 demos included, cost calculator, rapid composer, child theme, and an extensive documentation. Anyone can create a beautiful and professional website with Cargo! Paavai Logistics is an efficient, ambitious, clean, beautiful, and crisp WordPress theme. This theme has an outstanding design and it knows exactly what it wants to achieve. There is absolutely no need for any previous coding experience in order to work your way around this theme. It is straight-forward and intuitive in its design and theme features. Paavai Logistics comes with 3 homepage demos, grid system, unlimited colors, Google fonts, built-in extensions, active contact form, backup option, SEO optimization, and 24/7 support. We firmly believe it is among the most powerful transportation and logistics WordPress themes available so don’t waste any more time, try Paavai Logistics! Pearl WP is a great example of a stunning, reliable, easy to use, and modern multipurpose WordPress theme. This theme is extremely easy to use and set up, and once you do you will no longer have to worry about errors, mobile responsiveness, or other web development issues. Pearl WP takes care of everything. This product includes various pre-built homepage demos among which are transportation demos. Even more, it comes with over 200 custom content modules, loads of compatible plugins, pearl slider, mega menu, header builder, advanced theme options, visual composer, and a few more. Be sure to check it out! 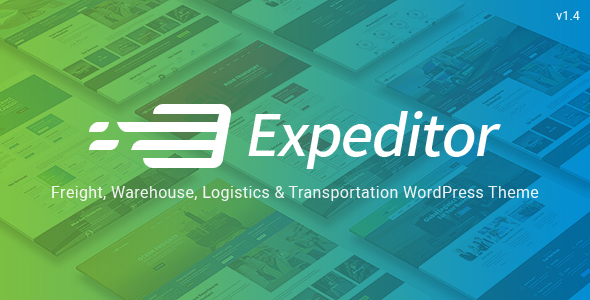 Expeditor is a colorful, stylish, elegant, well-developed, feature-rich, responsive WordPress theme for transportation companies. Expeditor not only looks great on desktop, but also on mobile devices. Not to mention that is maintains the same beautiful layout on all popular browsers. Expeditor features 3 pre-built demos, Visual Composer, one click installation, shipping calculator, WooCommerce ready, unlimited sidebars, child theme, unlimited footer layouts, unlimited fonts and colors, and so much more. You cannot go wrong with Expeditor! If you’ve set your mind on crafting a unique, modern, and seamless website for your transportation company, then Logistics is the perfect theme for you. Logistics comes with a clean, professional, and elegant design that will help your business stand out. You can recreate the exact layout as the demo with just a click. The design of this theme is completely responsive and supports swipe effects. Additionally, it includes Visual composer, tons of shortcodes, Revolution swiper and slider, SEO optimization, translation ready, free support and updates, WPML and WooCommerce support, and shortcode builder. No coding knowledge is required to make the most out of Logistics! This is one of the best designed transportation and logistics WordPress themes on the market. 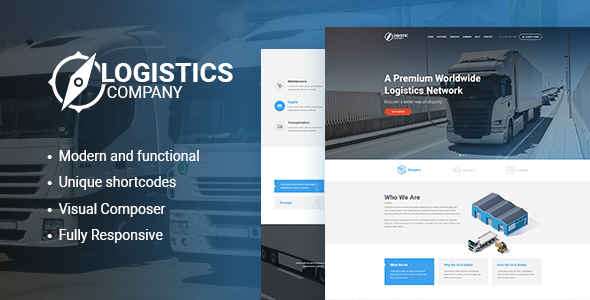 Logistic69 is a stunning, reliable, versatile, refined, and expressive WordPress transportation and logistics theme. It is a well-structured theme, as well as pliable so it can be used for various logistics businesses. Logistic69 is the perfect choice for companies that are looking to give their website an eloquent and modern design. 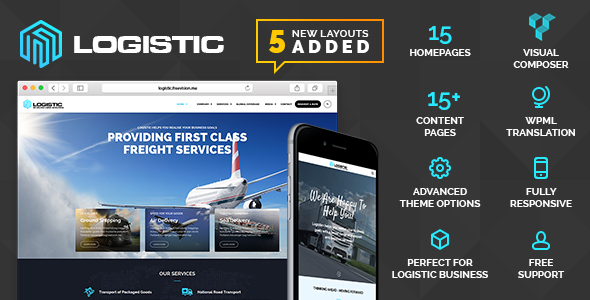 Logistic69 is filled with outstanding features such as parallax and video background, drag and drop page builder, lifetime updates, 500+ icons, slides builder, 10 mega menus, and a detailed documentation. Try it today! 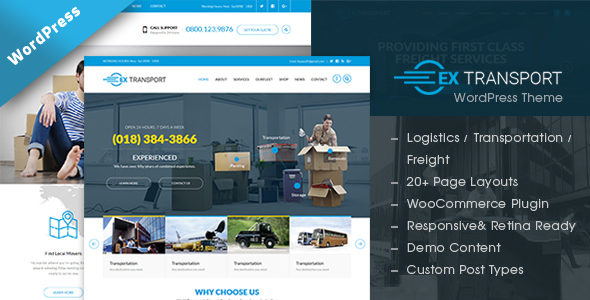 Extransport is a wonderful WordPress theme suitable for any business in the freight, transportation, and logistics branch. Its main purpose is to simplify the development of stunning and professional websites so that it can be used even by beginners. Extransport is a powerful tool to have that includes features like 20+ page layouts, WooCommerce compatibility, a full responsive and retina ready design, demo content included, and various custom post types. Extransport will help you engage with your visitors and turn them into clients. Don’t miss out on Extransport! 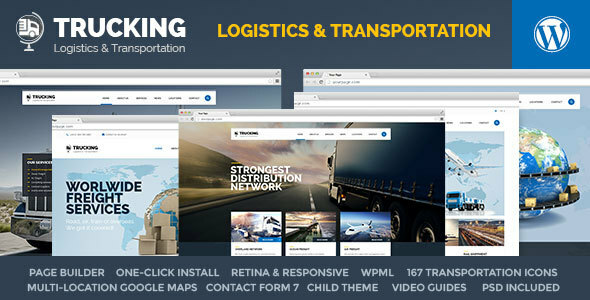 Trucking is a premium, responsive transportation and logistics WordPress theme. It is compatible with all mobile devices and browsers, and makes a great platform to develop websites for transporting companies around the world. Trucking design is straight-forward and modern, and it adapts perfectly to website in this niche. It includes custom icons, interactive Google maps, content marker page builder, demo content, WPML support, typography options, unlimited color options, SEO optimization, and PSD files. Try it today! This is the ideal choice for your transportation and logistics website. Transport was developed and designed to fit this niche perfectly, but it is also adaptable and flexible. With this theme you have the control. 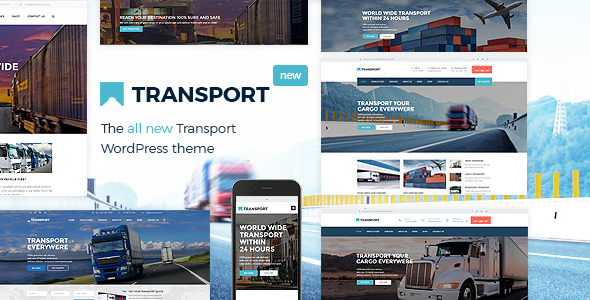 Transport is a highly customizable theme that comes with 6 available demo designs, a powerful theme panel, Visual Composer drag and drop page builder, amazing font icons, integrated with WooCommerce, unlimited color freedom, Revolution Slider, and translation support. A live demo is available for testing purposes. Check it out! TransGo is an eye-catching, excellent, competitive, easy to user, and responsive WordPress theme. This theme does all the heavy work for you so you can focus on your content. TransGo does not overbear your audience with unnecessary information, but keeps it simple and highlights only the useful one. TransGo is very well developed and it is constantly improved and updated. Initially it comes with demo installer, a potent admin panel, retina ready, smooth animations, Revolution slider, font awesome icons, RTL support, Google maps, a great documentation, and unlimited colors. TransGo will give you an advantage over your competition! 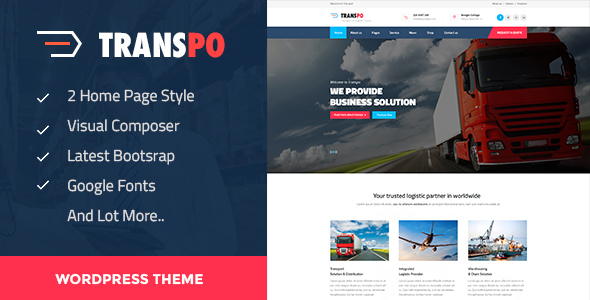 TransPress is the ideal choice if you are looking for a theme dedicated to transportation and logistics businesses. TransPress has an innovative and clean design and it offers complex but useful features suited for this niche. With TransPress you will not have to worry about your responsive design because it adapts perfectly to all screen sizes and resolutions. TransPress also includes a cost calculator, several demo layouts, 6+ header styles, many theme options, translation ready, 2 free premium plugins, unlimited locations, and outstanding support. The installation process is a piece of cake and takes literally a couple of minutes. Transpo is a powerful, creative, professional, crips, flexible, and smooth transportation WordPress theme. Its design is elegant and smooth and it will adapt perfectly to any mobile device regardless of the screen resolution. Transpo comes with core features such as one click demo installer, highly customizable theme option panel, Visual Composer page builder, Revolution slider, Google fonts, shortcode generator, quick support team, child theme, and cross-browser compatibility. Transform your website with Transpo! Do you plan to build a website for transportation, logistic or cargo business? Then Bolts Transport theme is the perfect choice featuring a modern and UX friendly look. Install the theme in minutes with One Click Demo import and simply insert your clients’ content into beautifully pre-designed widgets. You can also edit the website with live editor in the real time. Bolts Transport WP theme is also responsive and mobile-friendly. Impress your client and charge more by guaranteeing fast loading speed, high rankings, local SEO optimizatized website and incredible website security. 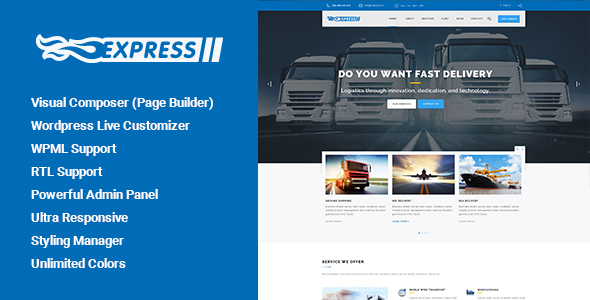 CargoPress is a premium, intuitive, user-friendly, responsive transportation and logistics WordPress themes. It includes a bunch of useful tools and features that you will use to craft a successful and professional website. This theme’s layout is very clean, elegant, and responsive making a big difference for your mobile device visitors. CargoPress gives you complete creative control with features such as intuitive page builder, live customizer, several page layouts, demo installer, custom sidebars and widgets, clean code, and retina ready layout. Try CargoPress! 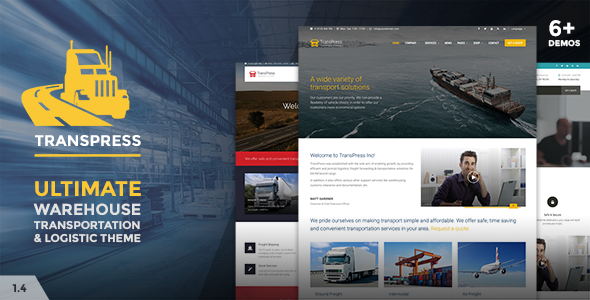 Transport is one of the best WordPress themes for transport, logistics, and warehouses. It is packed with modern and useful tools developed for this niche. 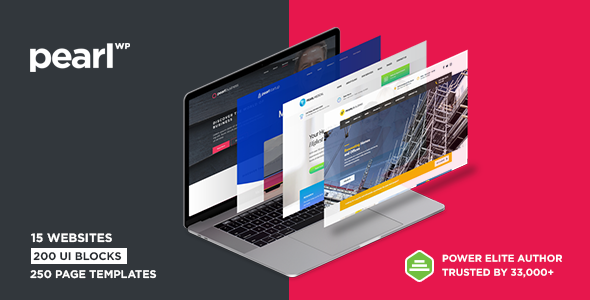 This theme has 7 homepage styles to choose from, 4 premium plugins included for free, optimization for speed, live customizer, contact form 7, Envato toolkit, and much more. Transport allows you to be in control of every single element on your website so you can choose how it looks. It is also worth mentioning that this theme is fully responsive and will display just as beautifully on any mobile device. 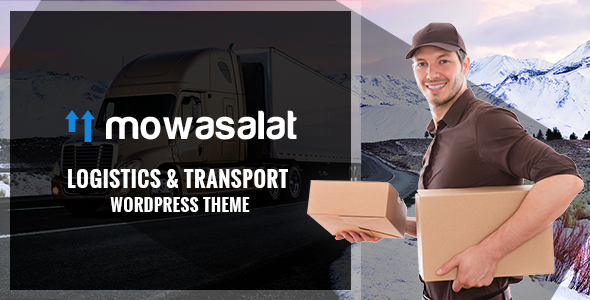 Mowasalat is a crisp, clean, eloquent, modern, and responsive transportation and logistics WordPress theme. With Mowasalat you can set up a website in a couple hours without breaking a sweat. Mowasalat is packed with stunning and useful features that will allow you to develop something beautiful and unique to showcase your work and services. It contains 11 demos and a few more are coming soon, unlimited layouts and color skins, user-friendly theme option panel, revolution slider, RTL support, dedicated support team, and a fully responsive design. Mowasalat will crush your competition! Translogic is a stunning, unique, and classy WordPress theme that will increase your business’ popularity in a short time. This theme is one of the best choices to go with transportation and logistics websites. Its design is completely responsive and is also compatible with all popular browsers. Translogic incorporates mobile device customization, one click demo importer, drag and drop page builder, SEO optimization, 2 homepage layouts, powerful admin interface, mega menu, parallax effect, and multi-language support. This is a complete theme that you need! GoCargo is the ideal theme choice for transport companies of all kinds. It has useful and engaging features, as well as a modern and professional design especially crafted to fit this niche. GoCargo is easy to install and configure, and it does not require any coding experience to use it to the fullest. Incorporated with this theme are 4 unique homepage demos, 29 page layouts, tracking design, contact info with map, premium plugins for free, unlimited Google fonts, smooth animation, font awesome, child theme ready, parallax background, and page pre-loader. Showcase your business with GoCargo! 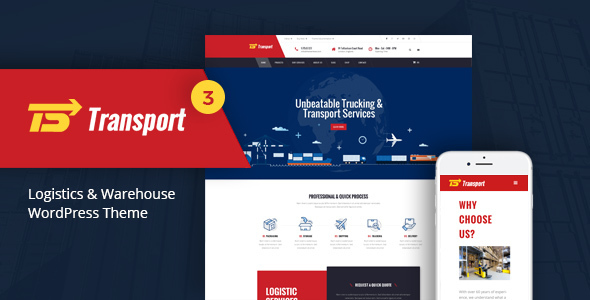 Transport is a stunning, robust, visually pleasing, feature rich, professional, and responsive logistics WordPress theme. Regardless of your style and vision, this theme will make the best of it. Transport is a very accessible and intuitive theme that offers an impressive number of features and tools among which are 8 unique homepages, responsive and fluid design, Revolution slider, WooCommerce support, Visual Composer, e-commerce layouts, sticky header, Google fonts, shortcodes, and 5 footer layouts. Be sure to check Transport out! 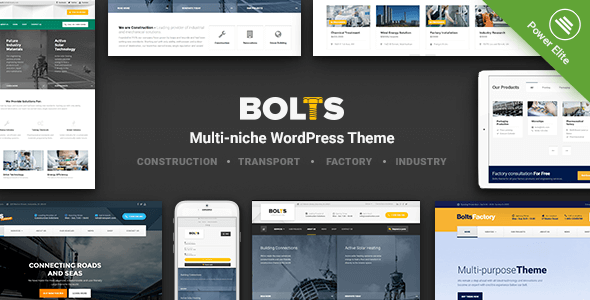 Bolts is a specialized transport WordPress theme that can fit other similar niche related businesses. Bolts aims to serve as a solution for logistics companies wishing to grow their business and reach a larger audience. Bolts offers 4 unique conceptual demos, various popular plugins included in the theme, real-time customizer, custom widgets and sidebars, supported extensions, an extensive documentation, a dedicated support team, several page layouts, portfolio grid, and much more. Bolts will help you organize your content beautifully and highlight the important parts. Try Bolts! Trans Cargo is an awesome creation developed by the incredible Templines team. This theme is a beautiful, creative, intuitive, robust, reliable, and responsive WordPress theme specialized in transportation and logistics. 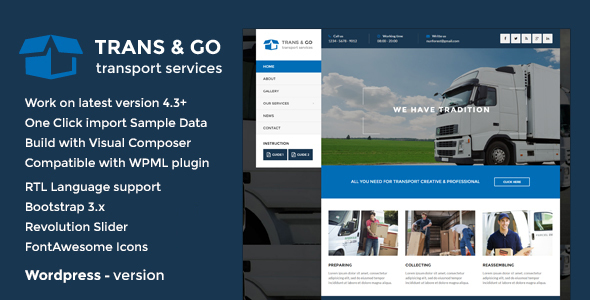 Trans Cargo includes a page builder, one click installation, demo content included, multi-lingual support, font icons loader, theme customizer, contact form 7, child theme included, PSDs, detailed documentation, professional support, Revolution slider, and live customizer, just to name a few. Make your business bigger with Trans Cargo! Express will enchant your visitors and introduce them to your business gradually. This theme is a great choice because of its beautiful design and engaging features. It will help you with built something unique with subtle and elegant design elements. Express comes with a powerful admin panel that will allow you to easily make changes to your website’s design, as well as personalize it. With its WordPress live customizer you will be able to see the changes in real-time without having to go back and forth after each change. Build the website of your dreams with Express! And we're come to the end of our best transportation and logistics WordPress themes list. We are finishing strong with Logistics - a gorgeous theme. This premium theme will fit any type of transportation business or company with ease. After you install Logistics you will find an impressive number of features among which are fleet management, team manager, services section, loads of typography options, unlimited color possibilities, unlimited sidebars, revolution slider, powerful page builder, tons of shortcodes, and an easy to use theme admin panel. Make magic with Logistics! This list with the best transportation and logistics WordPress themes is all you need to push you forward and create a professional website for your business. Stop stalling and start building a successful website.